SCVHistory.com LW3058 | Fort Tejon | Peter Lebeck Oak, ~1960s. 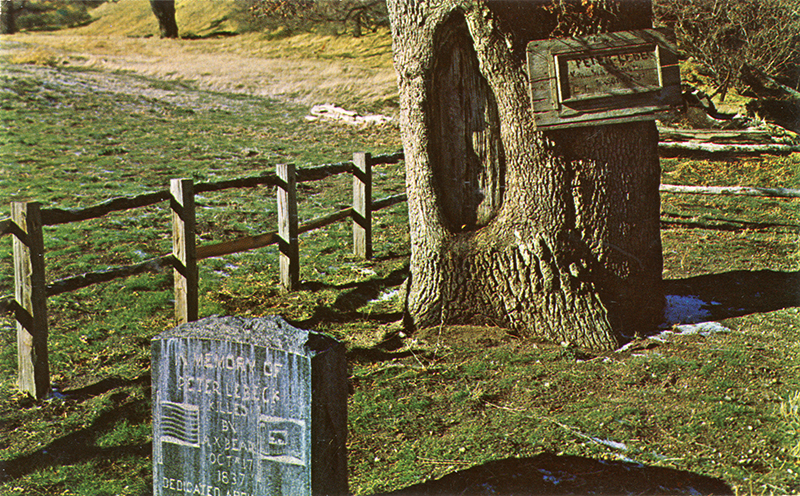 The Peter Lebeck oak at Fort Tejon. Probably 1960s. Unused color picture postcard published by Columbia Wholesale Supply, 11401 Chandler, North Hollywood, Calif. 58826. The Zip code was a new addition; it appears in a different typeface. Interstate 5 does not yet exist (see reference to Highwa 99 below). Fort Tejon Historical Marker — at athe top of "the Grapevine" Ridge Route on Highway 99 between Los Angeles and Bakerfield. LW3058: 9600 dpi jpeg from original postcard purchased 2017 by Leon Worden.